Lia Bernstein of Berkeley didn’t finish first in last Sunday’s San Francisco Marathon, but she was a big winner anyway. She beat her previous best time by 16 seconds. More important, she raised more than $1,700 for brain cancer research as captain of the National Brain Tumor Foundation Team. Most important of all is the fact she’s still here. She’s been battling an inoperable malignant brain tumor since 1997. Alive and running: Cancer survivor runs for strength | Active.com. We have literally run our running shoes into the ground over the past 18 months. But if you’re a runner, you know that a good pair of running shoes can make a world of difference, and can also cost a pretty penny. We randomly stumbled upon the Roadrunner Sports spring training clearance sales today. If you think you might need new shoes in the next six months, hit this sale up. All of their clearance items are on sale, and they have racks full of shoes that people wore once and returned because they didn’t fit well. 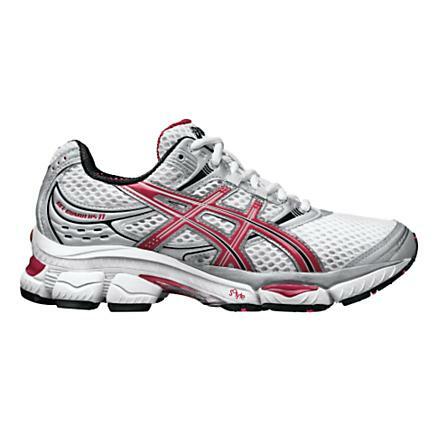 We were able to get two pairs excellent-quality running shoes for less than $100. And even though I shopped clearance, I still got pink shoes, so you know they aren’t putting the bottom of the barrel out on clearance.